With my friend Dr. Avery Faigenbaum — who most definitely keeps the physical in physical education. Like many of us, I wear several hats. My ‘day job’: sports medicine specialist. I also, however, have other work that consumes a great deal of time and energy and brings with it a great deal of joy and fulfillment. I speak of my……’moonlighting job’? My ‘real job’? I am a father to twins, thirteen years old, which turns out to be a great side gig to work as a pediatric sports medicine specialist. My day to day interactions with my son and daughter are great preparation for my interactions in the clinic. The skills I develop in my two ‘jobs’ complement each other. He ain’t heavy, he’s my brother….. The ‘Coke Wars’ have been raging for a week. 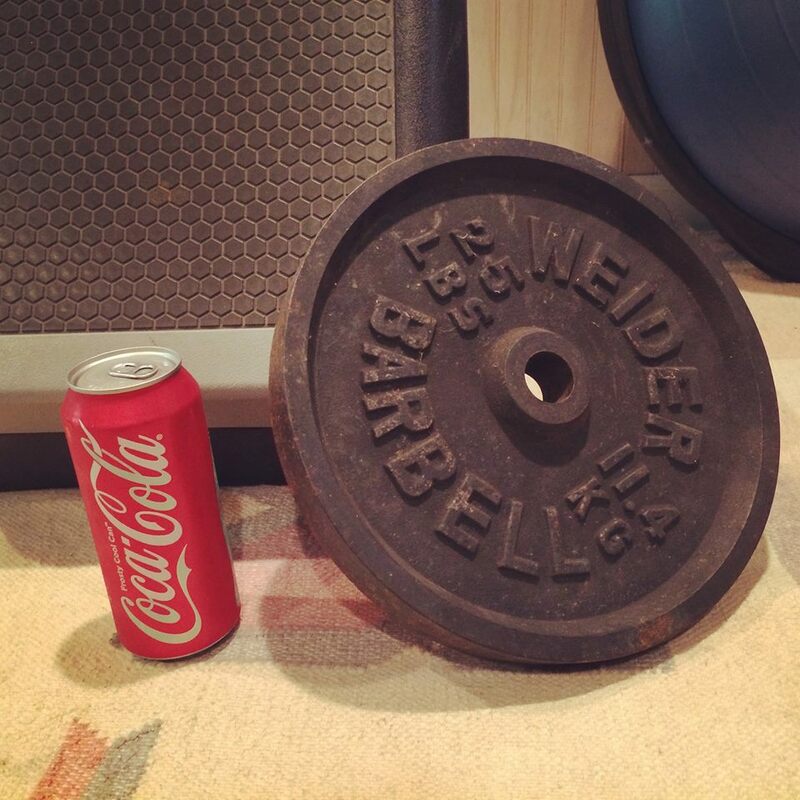 I read with great interest a recent piece in the New York Times – “Coca Cola Funds Scientists Who Shift Blame for Obesity Away From Bad Diets.” It’s been making the rounds on mainstream and social media–there has been a vigorous back and forth on Twitter. You may already be very familiar with the story. The ‘Letters to the NY Times Editor’ were overwhelmingly negative, suggesting that the researchers in the article were in the pockets of industry. There were several dimensions to this story that intrigued me, and so I thought it would be a good piece to discuss here on the blog. Reading Brian McFadden’s Strip in the Sunday’s NY Times, the ‘Sugar Water Workout,‘ finally got me on the laptop. I’m a big fan of McFadden’s irreverent strips, though in this case I think– as i do about several of the discussions I’ve seen regarding this issue in the media–he has over-simplified a contentious issue to get some laughs. Up front, let me share with you my opinions about this matter. Then I’ll wend my way back to some of these comments to touch on what I think is a valid point the article makes and some thoughts about transparency in health care research. To achieve weight loss, an individual must restrict caloric intake. There is a great deal of discussion about the ‘ideal diet,’ but the key is reducing calories–vegan, paleo, low carb, however one does it, reduce the ‘calories in’. The history of dietary fads is a long one, but the most important principles are not the choice of diet as much as i)reducing intake and ii) maintaining these new habits over time. To the extent my patients may consume a lot of carbonated soda, I have them identify that as the source of their unessential ‘extra’ calories and eliminate that from their diet while they work on other lifestyle changes as well. That said, there is an overwhelming body of evidence that ‘Exercise is Medicine.’* Put another way, achieving weight loss is many people’s goal. But it is usually not their only health goal, nor should it be the sole goal we clinicians in sports and exercise medicine will be working on with our patients. Increasing physical activity and exercise has a host of benefits that cannot be achieved by diet alone. For instance, improvements in knee osteoarthritis are seen more with diet change and weight loss than exercise; but the combination of exercise and dietary changes provides the most benefit to these patients. And to pick one more of several studies I could point out, our ‘fellow travelers’ at BJSM recently published a meta-analysis on HIIT in adolescents and found these exercise interventions (not accompanied with dietary changes) can achieve significant improvements not only in cardiorespiratory fitness but also body composition (BMI and body fat). Therefore, I think it is something of a ‘Hobson’s choice’ to ask which is more important: diet or exercise? It’s not a ‘zero sum’ game. Diet & Exercise go hand in glove, they are complementary. Most of us, and most of the patients we care for, need to address both parts of the equation. The sedentary lifestyles we increasingly lead are one of the great public health crises of our time. With some irony, I think a debate that pits diet vs. exercise is a bit like the fanciful argument Lite beer used to have with itself:tastes great….no, less filling! Tastes great! Less Filling!!!! 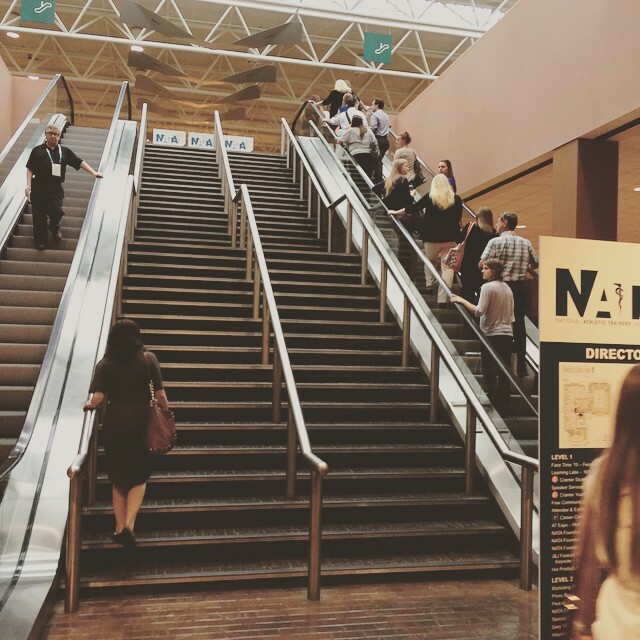 The stairs can be lonely in the modern world. The biggest misstep the scientists made as described in the article was an initial lack of transparency. The Global Energy Balance Network (GEBN) with which the researchers are affiliated gets substantial funding from Coca Cola. There is clear potential for bias. Scientists affiliated with this Network must be as transparent as possible. On the GEBN website, this at first, apparently, was not the case. Finally, Social media can ramp things up to a fever pitch–it births viral memes and creates chatter that can overwhelm rational discussion. Some of the criticism of the scientists and the science in the NY Times article is valid; much of it has descended to ad hominem attacks and is not constructive. As someone who is involved both in the research and social media ends of clinical sports medicine, I would say the social media aspects of this story have overwhelmed rational discussion. 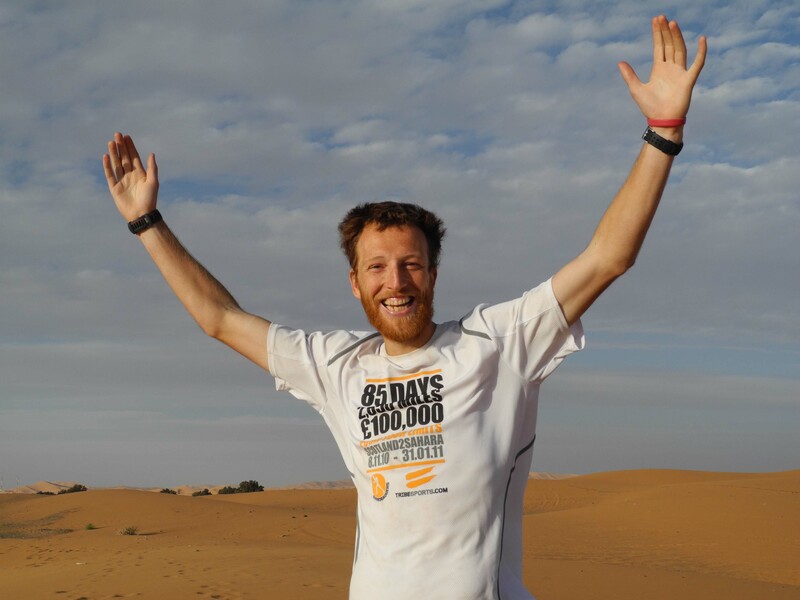 What does running 2660 miles from Scotland to the Sahara teach you? I learned a load of things running to the Sahara. Donkeys have a top speed of 25kms/hr, road signs hurt if you run into them, and the desert is extremely hot. I ate 7000 Kcalories per day, got through 16 pairs of socks, and averaged 34.5 miles per day for 77 days. I also thought plenty about what I’d do as a General Practitioner and Sports and Exercise Medicine doctor when I got home. I firmly believe that physical inactivity is the fundamental health challenge of our age. Dr Mike Evans in his video 23 and a half hours asks the question- ‘What is the single best thing we can do for our health?’ For its benefits both to physical and mental health, as well as to quality of life he concludes that taking regular physical activity comes out on top. Please do watch this video and forward it on. One of the most satisfying parts of my journey south was that over 1300 people came and jogged part of the route with me. My oldest companion was 81, and the youngest (being pushed by his mum) was 5 months, going to show that physical activity is achievable by all. Steven Blair’s research proves that low fitness is equivalent in risk to smoking, diabetes, and obesity combined. This statistic is all the more frightening given that government figures show that only 39% of Scots hit minimum activity guidelines.This is too big a problem to ignore, and action is required. Many health care professionals recognise the health problems associated with physical inactivity, but feel that the solutions lie with public health rather than with grass roots professionals. I was delighted to accept a role as Scottish Government Physical Activity Champion working with health professionals, and advocating that “Exercise is Medicine” on the back of a BBC documentary about my run, and my medical background. A little background to the role is here. This role was created partially as a legacy to the 2014 Commenwealth Games that are coming to Scotland. The government have stated that raising an awareness of the benefits of activity, and getting the nation on the move is just as important as the medals. Preventative medicine is great medicine. The benefits are clear. The message is simple. Follow Dr Andrew Murray on Twitter at @docandrewmurray , and on Facebook at Sports and Exercise Medicine Scotland.